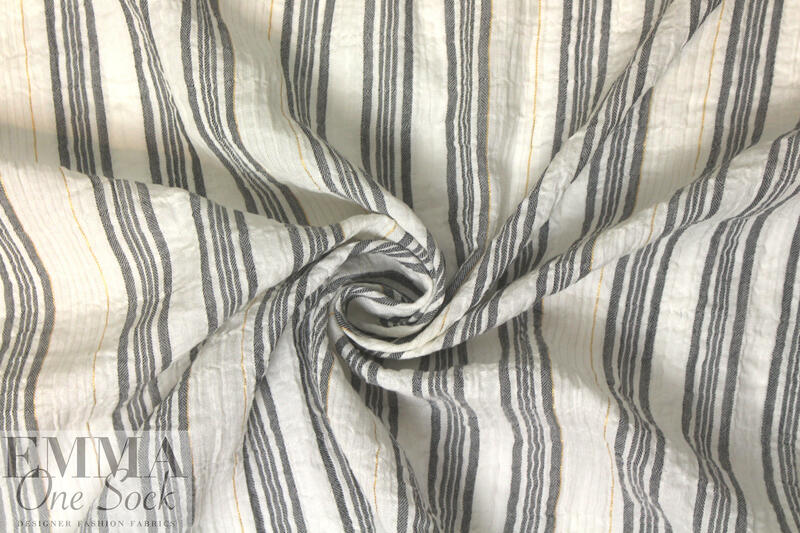 This lovely fabric from a NY designer is a wonderful basic for casual spring/summer wear! 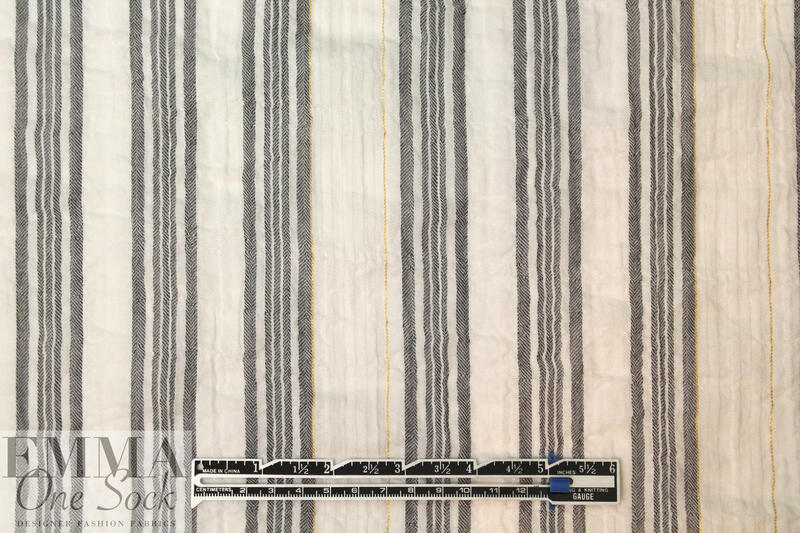 It is a somewhat gauzey, crinkle-textured fabric that expands about 15% widthwise. 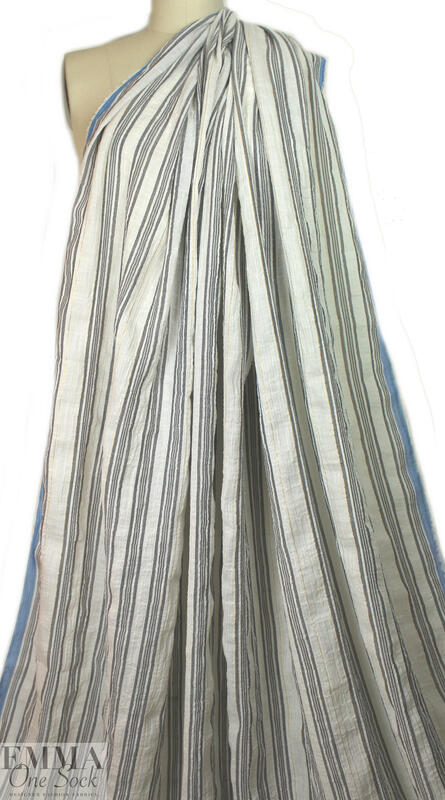 It is lightweight and semi-opaque with a soft drape, and has stripes of black and soft white, with gold metallic accents. Make a fabulous loose-fitting bohemian top, blouse, shirt, tunic, etc. 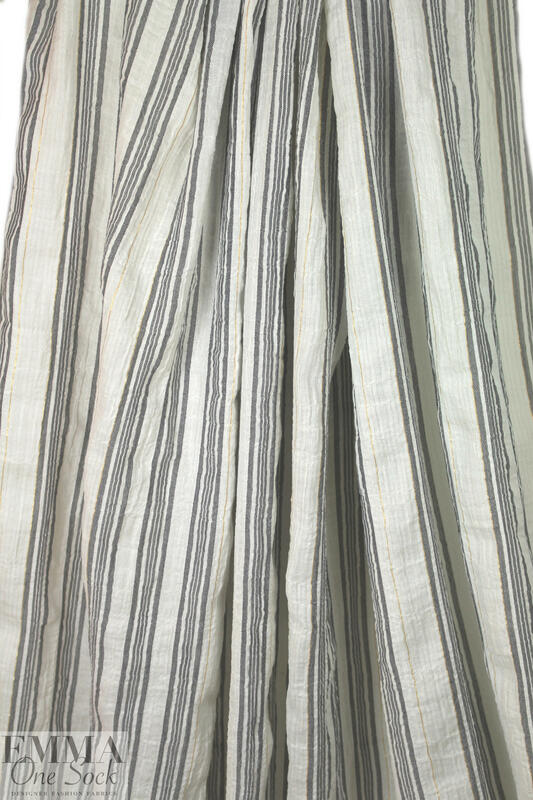 It has nice contrasting selvages that could be used for trim. Please test first if you wish to hand wash, and hand or lay flat to dry.